We are the fastest growing Sia Door Supervisor provider in Scotland. 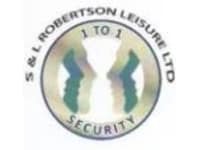 S&L Robertson Leisure, our mission is to become the leading provider of service solutions, ensuring that we are the best in our field, to which others try to emulate. This will be established on the basis of mutual respect, honesty and diligence in developing key working relationships with our clients and staff. We will ensure a bespoke and personable approach to our partners’ requirements. We will continue to challenge all of our business processes to achieve and exceed our customers and groups key performance indicators in operational and commercial sectors. We shall continue to surpass our aims through delivering workable solutions to the continual delight of our partners. We continually embrace leading technological applications in order to ensure that our customers benefit from a current, efficient and reliable service. Professional is a word over used within the industry. With S&L Robertson Leisure you are guaranteed more than words. Our service delivery speaks for itself. We work closely with the Director of this company. I have been looking at the operational side of this companies efforts. they Are efficient Punctual And very approachable, Good relations with emergency services and the first aid skills are on form. Looking forward to a new year and a new adventure. The Partnership we have with the directors of this company stands for the values they present. Highly flexible with a vast experience of professionalism. very happy to have chosen this company.